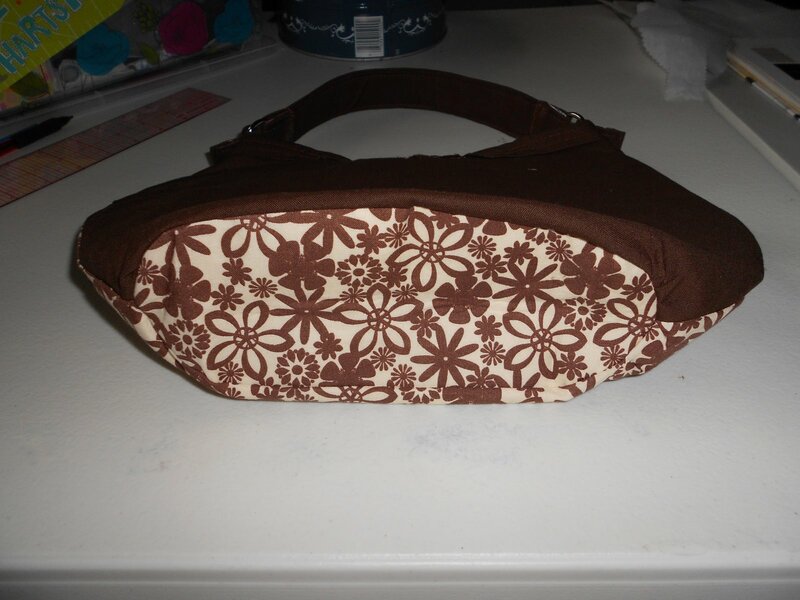 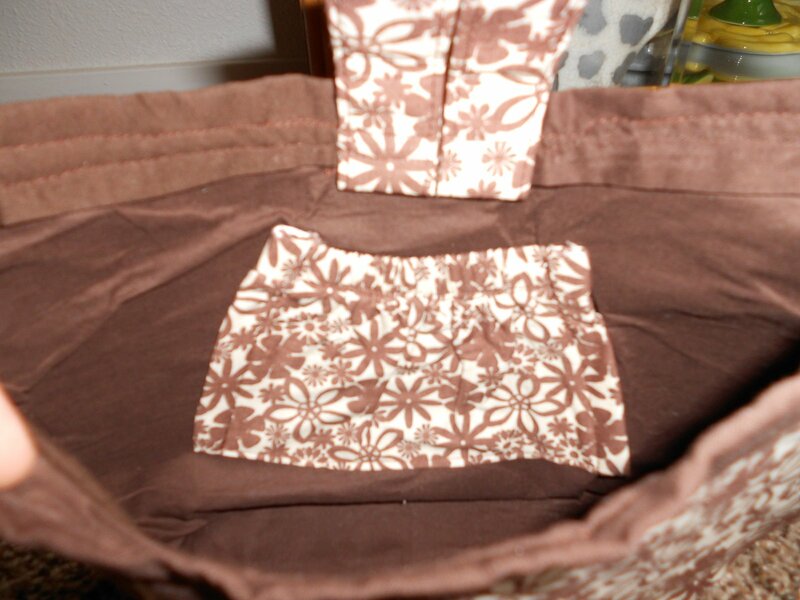 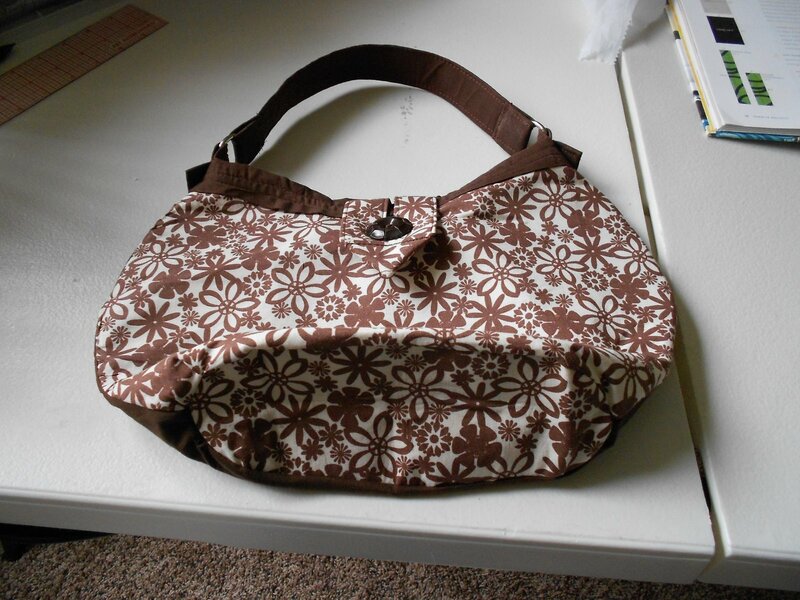 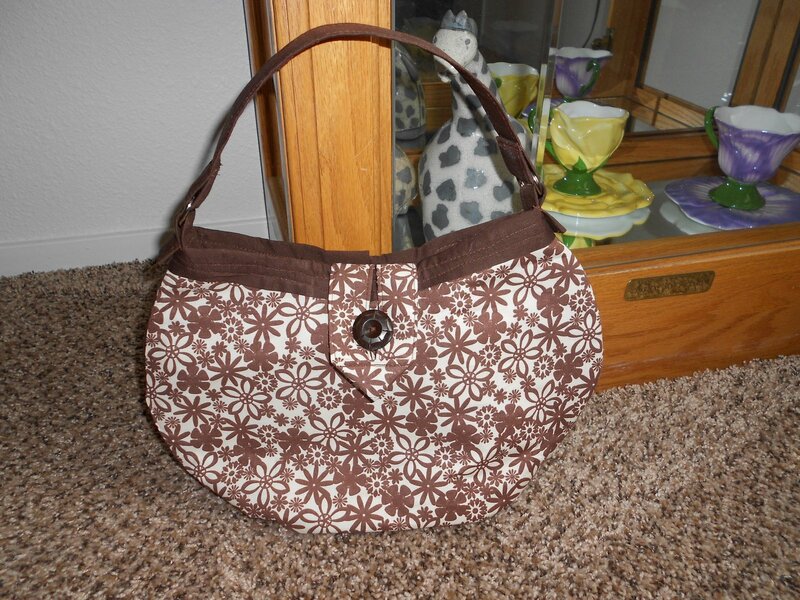 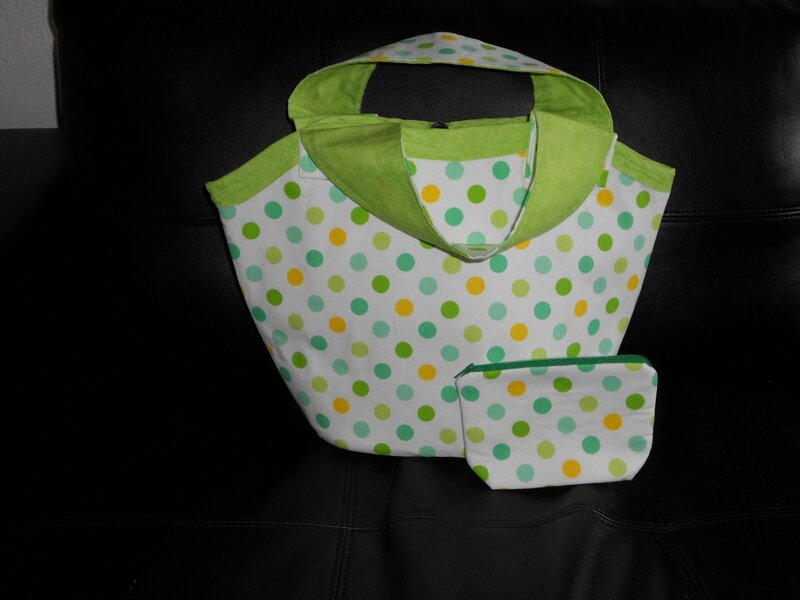 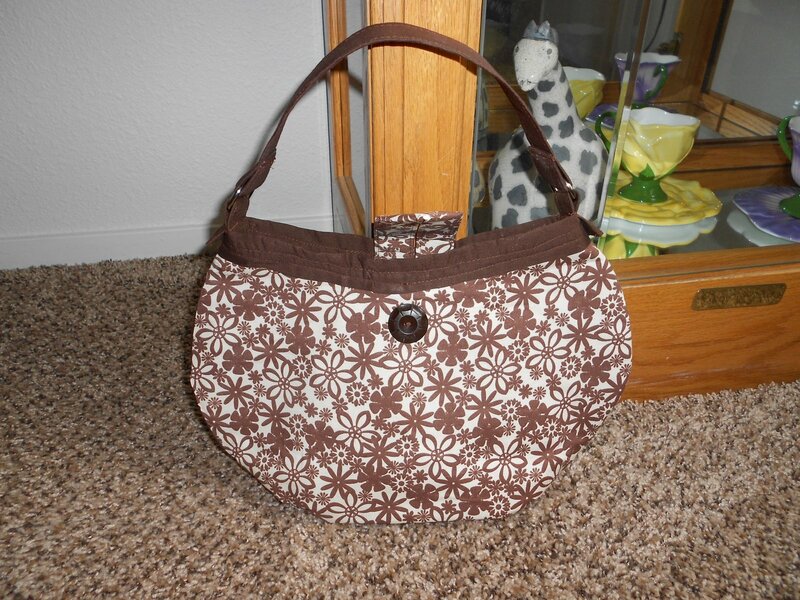 Another shot of the front of the bag with the button closure…the button came from my Mom’s stash she left me…..
November 16, 2011 September 30, 2016 Leave a Comment on MsKRS is HAPPY! 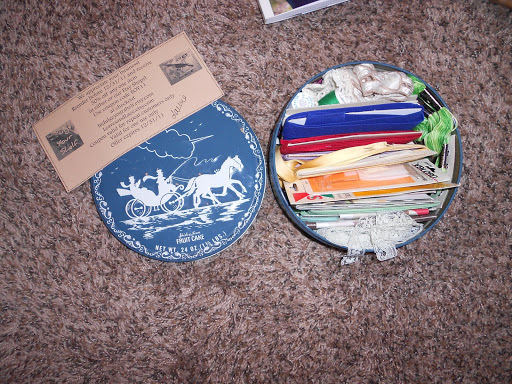 the vintage tin full of vintage notions….can we say sewing and bag making gold? 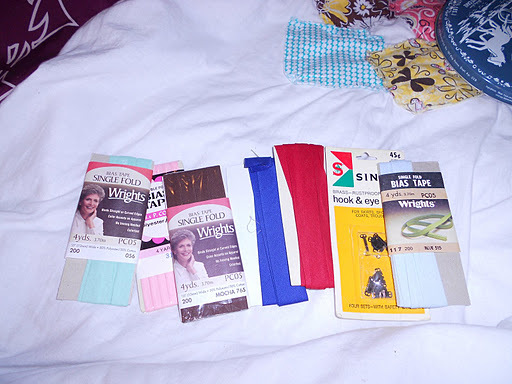 Some of the things that were included in the tin…vintage bias tape!….look at the cool brown one…they called it “mocha”….I am truly in heaven right now! 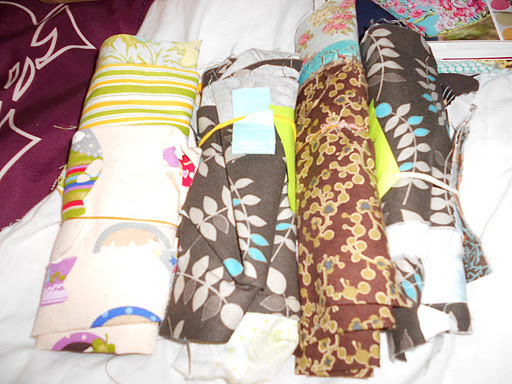 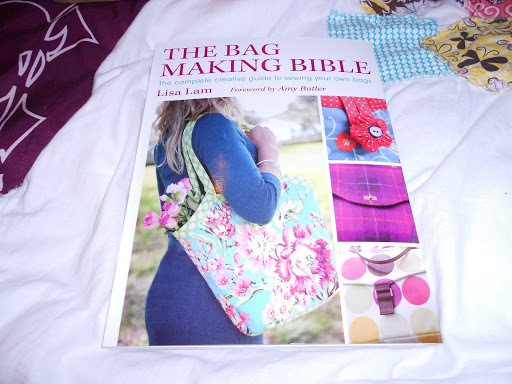 some of Lisa Lam’s scrap fabric…did you see that she has sewn on one of them…that one is being kept forever by me! 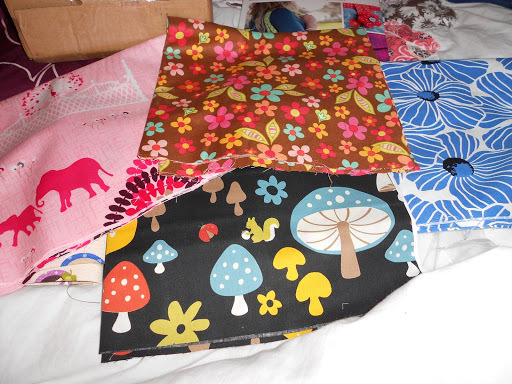 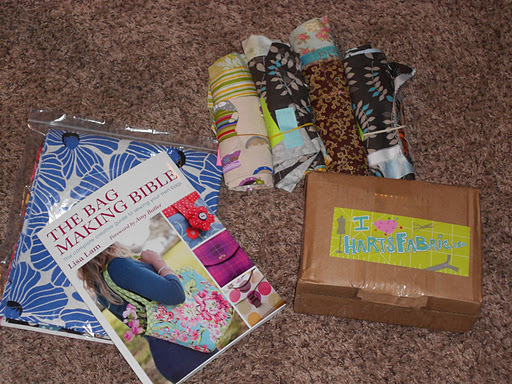 Delicious new fabric that also came today!….oooohhhhh weeeee! 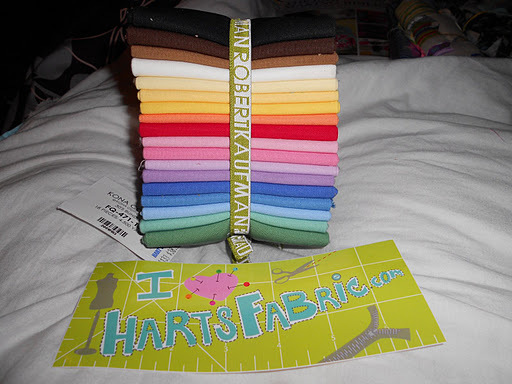 Lovely Rainbow Kona Cotton at its finest…thanks Hart’s Fabrics…I remember going to this fabric store as a kid with my Mom…..super cool that I am now loyal customer…. 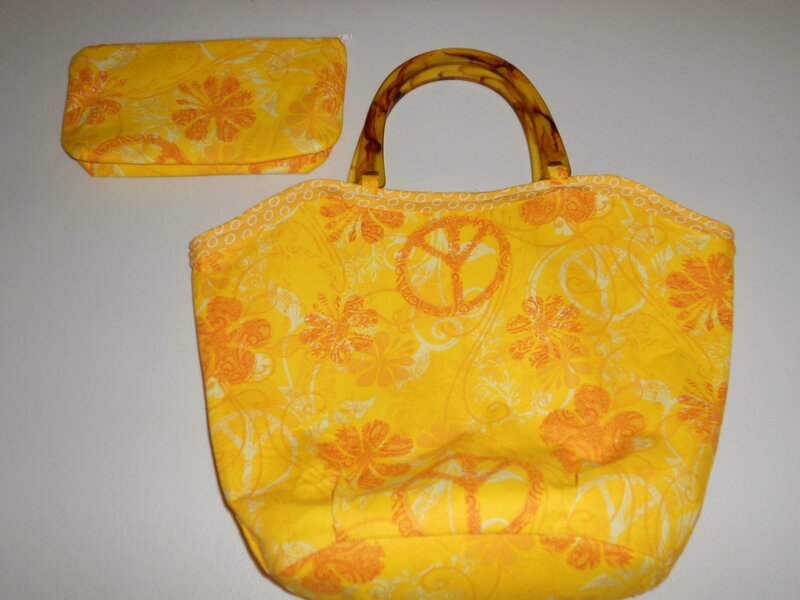 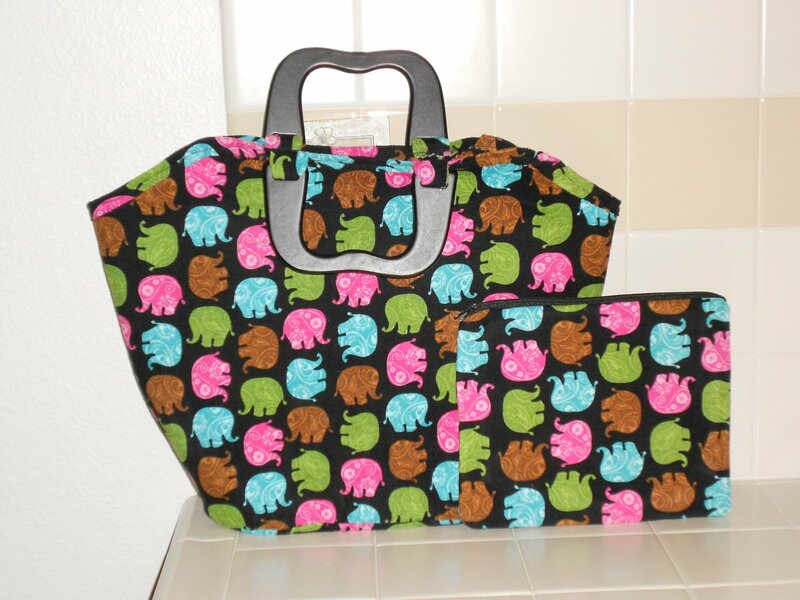 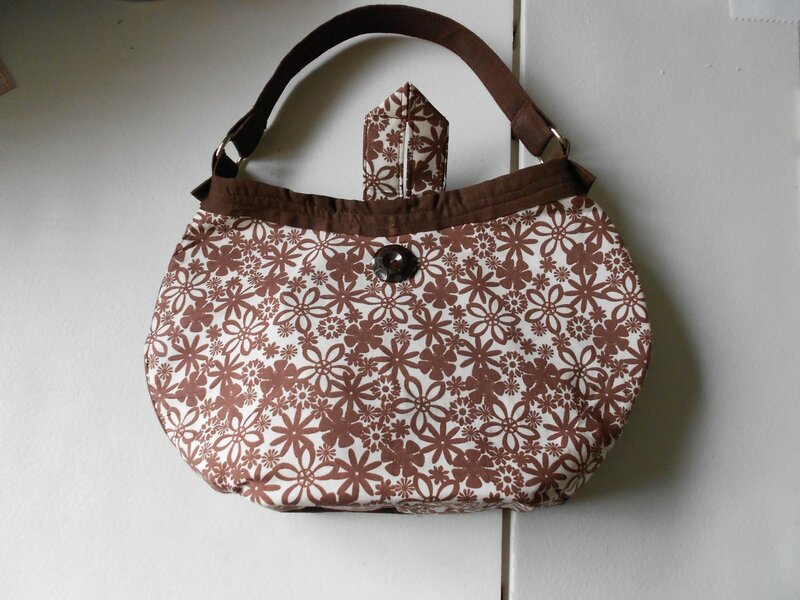 Another shot of my first MsKRS original pattern design…. 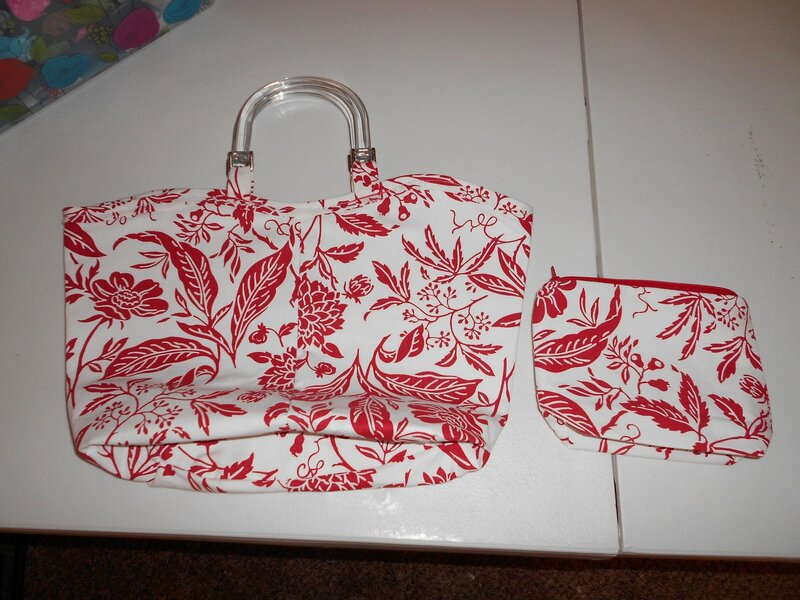 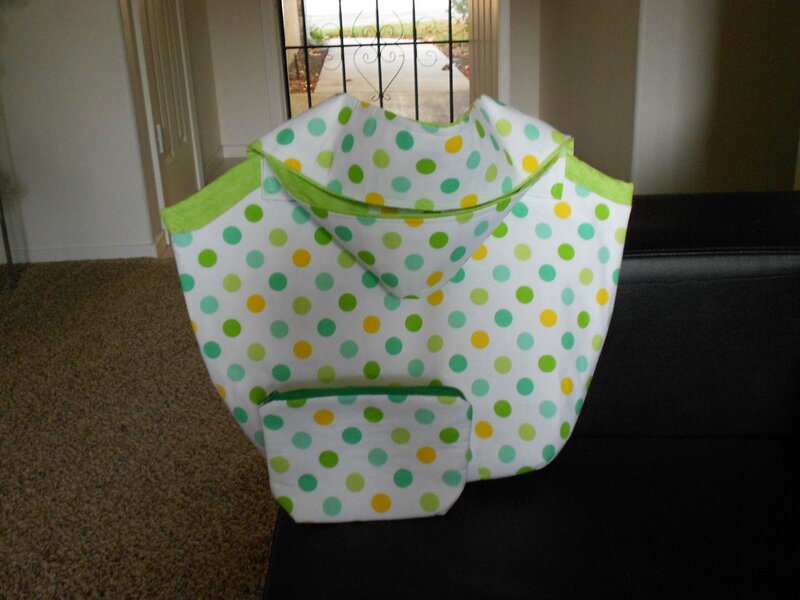 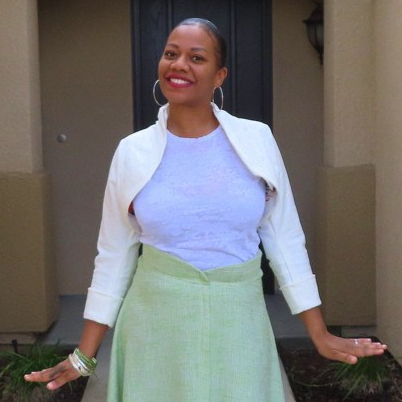 I love this one too!…The fabric is soooo cheery! 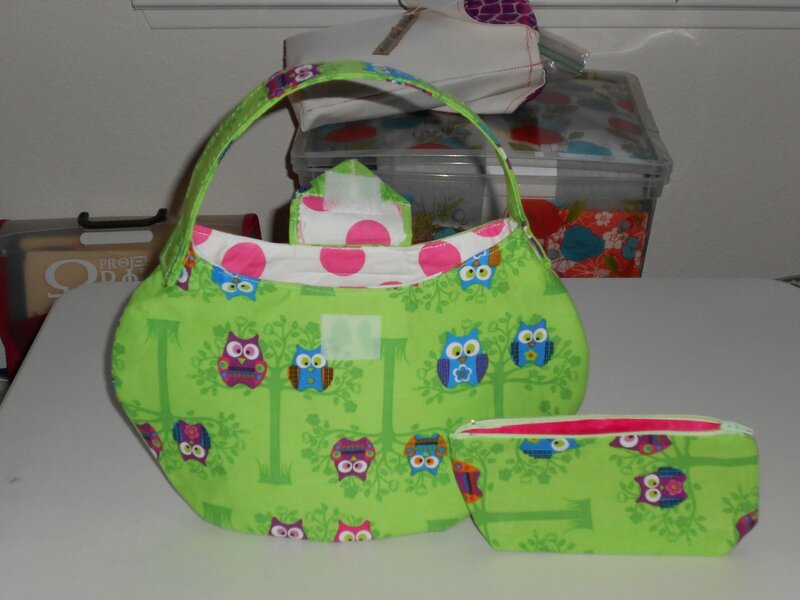 I love this set…It cheers me up!….